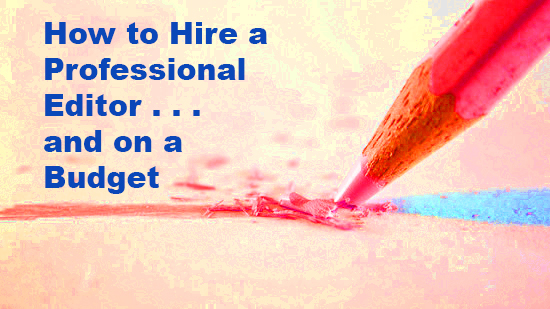 Home › Editing › How to Hire a Professional Editor … and on a Budget! The team at Book Marketing Tools was kind enough to invite me to do a guest article this week. Regardless of whether you’re an author planning on working with a publishing house or are doing it by yourself, you need a trained set of eyes looking at your manuscript before you can claim it’s done. The biggest problems most new and emerging writers face today is knowing who to trust and balancing a budget with their needs (and that includes no budget). First and foremost, if you haven’t joined a local writers group who offer critiques then do it now. It doesn’t matter if your group is large or small, just make sure they appreciate your genre of choice and are comprised of authors at various stages of writing prowess. You don’t want to join a group of all professionals, neither do you want to be in a ‘beginners only’ group. If you only belong to one writers group, make sure the variety is there. You want to learn from the ‘big wigs’ who’ve taken all the courses and already have writing published, and you’ll want the emotional support from others still working on a learning curve to know, quite frankly, that you’re not alone.